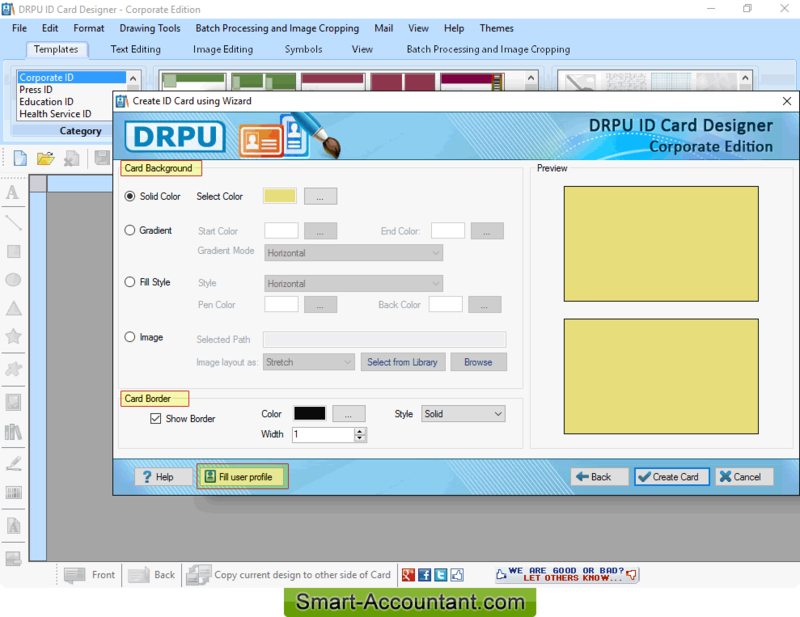 Select any one mode to design ID cards. 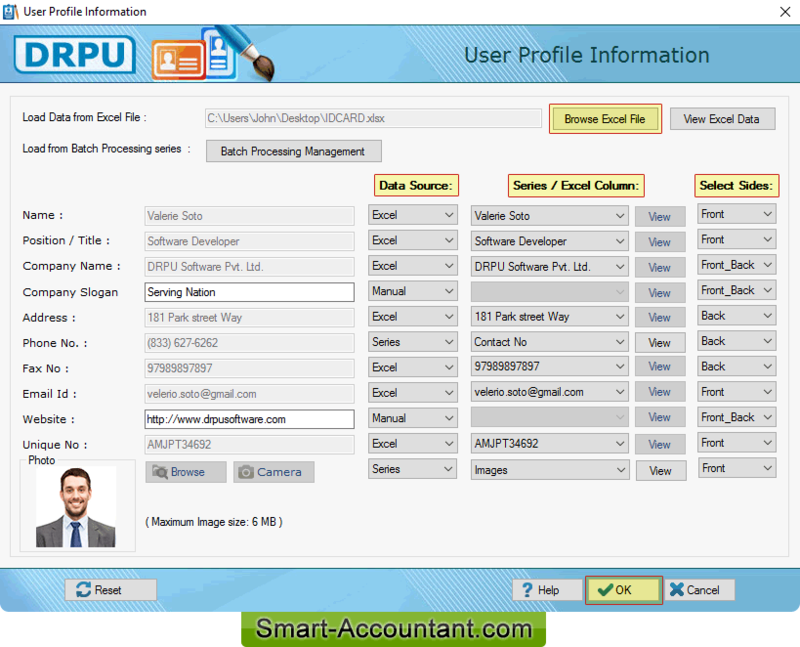 For demonstration purpose we have selected 'Start by using Wizard' option. 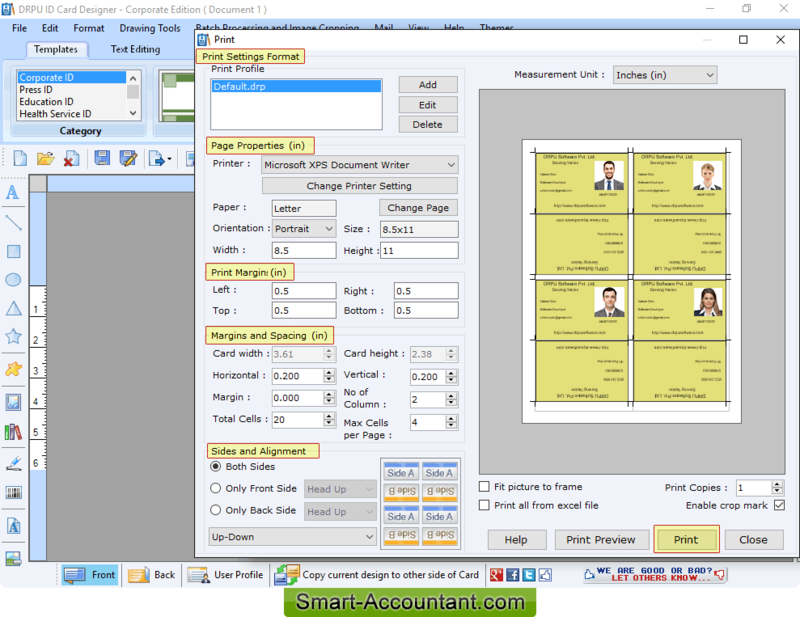 Specify card information, card size, card shape, and click on Next button. 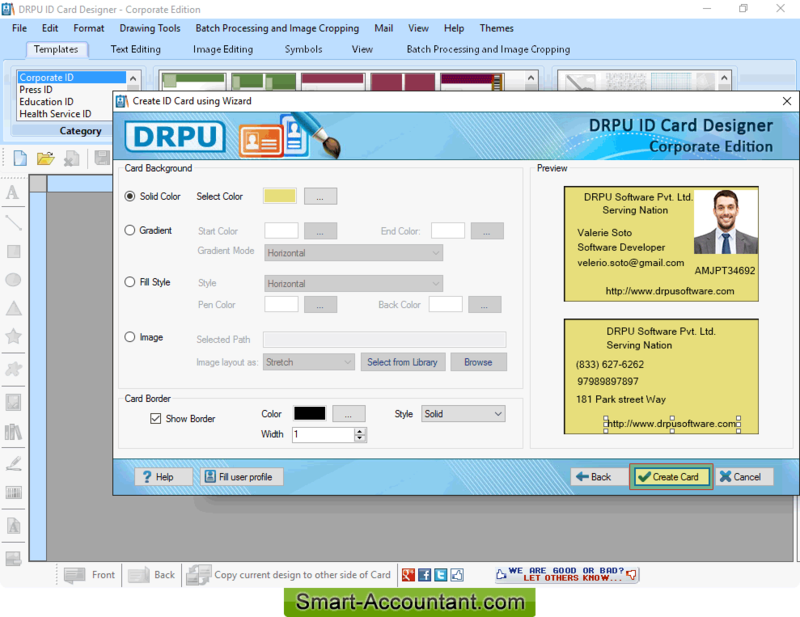 Select card background, card border and click on 'Fill user profile' button to add user information on ID card. Here we are using excel file data to create multiple ID cards. Browse excel file, select Data Source, Series/Excel Column, Select Sides and click OK button. Here you can see the preview of Front and Back side of created ID card. 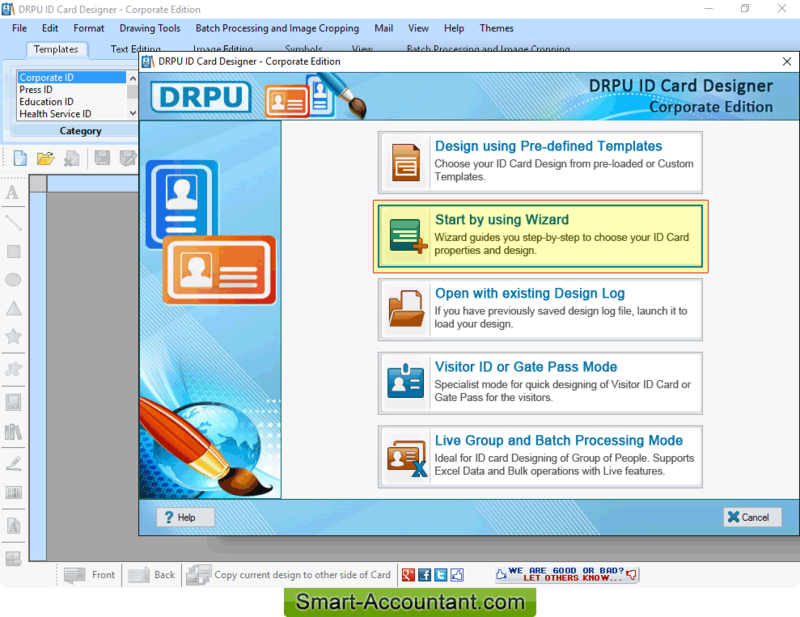 Click 'Create Card' button to continue. 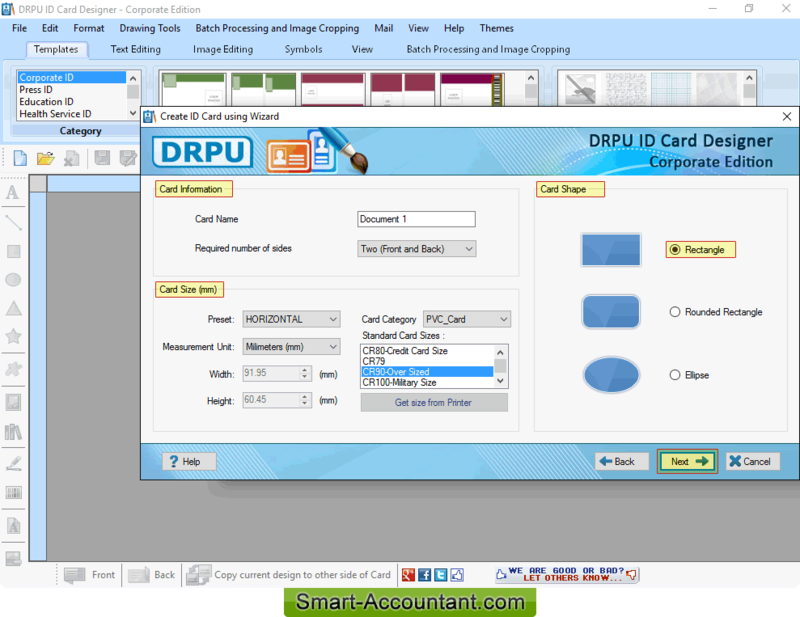 Now you can make further changes in designed ID card using various card designing objects. 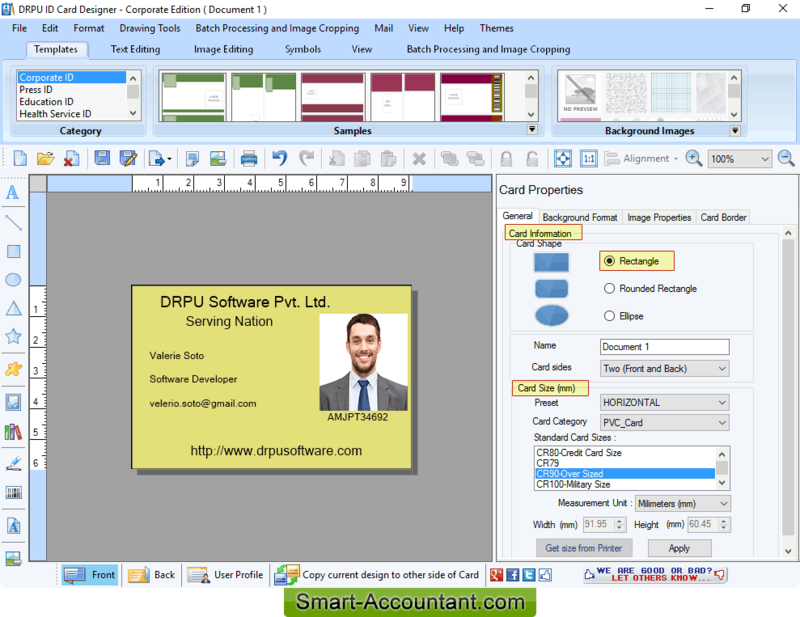 To print designed identity cards, adjust various print settings according to your requirement and click on Print button.